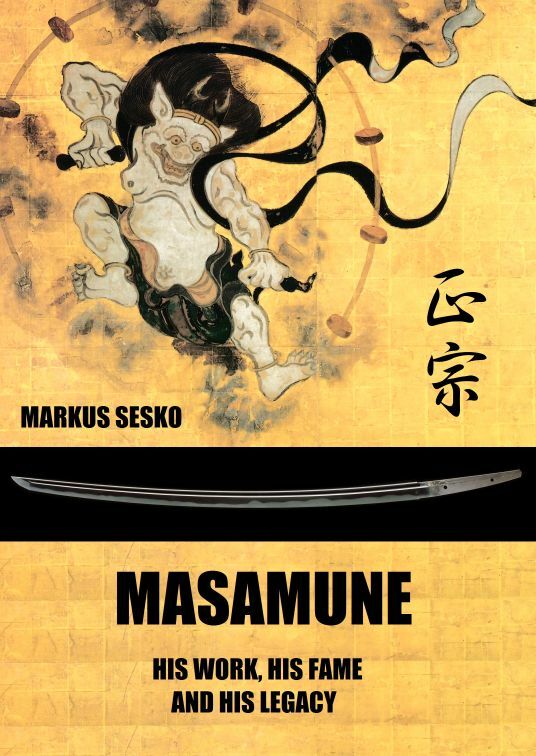 It’s done, my announced Masamune book is out now! Please note that there are two editions: The standard b/w paperback edition that is (shortly) available everywhere (e.g. Amazon.com), and the hardcover color higher quality paper deluxe edition that is only available via Lulu.com. I would highly recommend the latter edition as the pictures should turn out much better on the higher quality paper. Also I added many portraits of previous historic owners of the meibutsu to give the provenances “a face.” These also should do much better in color. Hi Markus – Congratulations on the completion of a book I’m sure every collector has been waiting for and I look forward to obtaining my hardcopy soon. (Just wondered if you will be attending the NBTHK meeting in Stockholm this May)? Thanks a lot Paul! Whether if I am able to attend the Stockholm meeting depends on how fast I get my positive Green Card decision here (its too complicated to travel abroad with a pending submission for permanent residency). Ah right -so you are now in the USA. I have recently contributed towards your translation for Chosu organised by Danny of Nihontocraft.com – I would be very interested in further sponsorship of similar translations. I was hoping to meet up with you in Sweden but hopefully if that is not possible then maybe we could meet up in the States some time.